March 23rd at the blue note will string together some of Florida’s finest acts. Arrows in action will bring some of the smoothest indie happening in Gainesville, while Jacksonville’s dancing with ghosts unveil the goth-pop sounds from their new album, Hex. Home band Phantom Phunk will be mixing things up, debuting their featured synth play for the first time. It’s bound to be an interesting show you won’t want to miss! 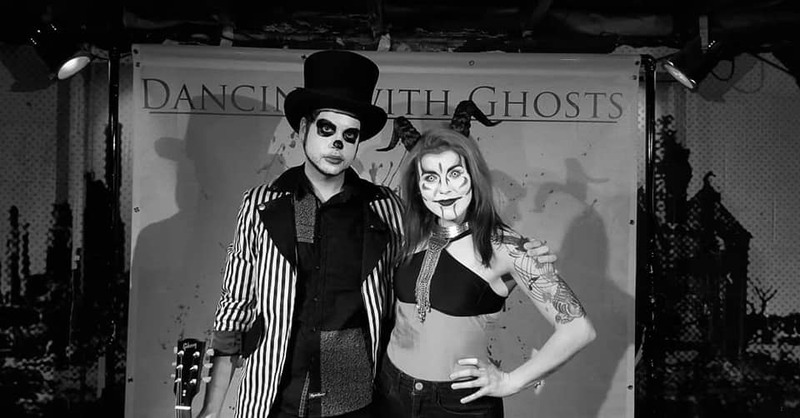 Dancing with Ghosts is an alternative rock\electronic band from Jacksonville, Florida. They’ve been compared to Depeche Mode and Birthday Massacre. All of their albums, music videos and social media are DIY. They are currently expanding their profile by playing shows all across the south-eastern United States. A new music video and album will be coming soon. All material written by Josh Cannon and Stephanie Conner. Reminiscent of early 2000's Pop Punk, upbeat 90's Rock, and their choice of Dance Pop grooves from the last 10 years, Arrows In Action's music speaks volumes on the adventures and perils of young adulthood, romantic interest, and discovering purpose. With the release of Arrows In Action's sophomore EP "Coasting," the group portrays an emotive, beachy summer aesthetic, colored by witty, cutting, and brutally honest lyrics.